Toronto FC promote responsible drinking and positive fan behavior at BMO Field. The Toronto FC Fan Code of Conduct and details of the TFC alcohol management plan that appear below ensure that fans have a safe and fun experience. Failure to abide by this Code of Conduct at BMO Field or while attending any Major League Soccer match regardless of venue, is subject to sanctions at the discretion of building security and club management, including ejection, arrest and banishment from all MLS venues. 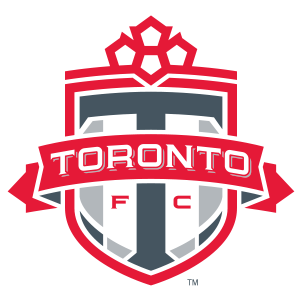 Moreover, failure to abide by this Code of Conduct for Toronto FC matches (regardless of location) may result in loss of Season and Partial Ticket Privileges. Toronto FC season ticket and suite holders are reminded that they are responsible for the behavior of anyone using their tickets. Should you experience any difficulties on an event day, please text your issue and location to 647-933-5354 or contact the nearest BMO Field Usher, Security or Fan Services Representative. Standard text message rates apply. On non-event days, please contact Fan Services at 416-815-5982. We thank you for adhering to the provisions of this Code of Conduct and for making this event special and memorable to you and your fellow patrons. Designated drivers who make this pledge at Toronto FC home games receive a free soft drink and are entered into the Major League Soccer Responsibility Has Its Rewards Sweepstakes.